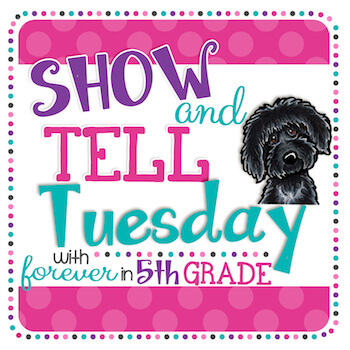 Today I'm joining Show and Tell Tuesday with Forever in 5th Grade! 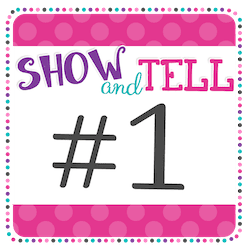 This is a linky where everyone shares something special from home or school. It was definitely a "reindeer" Christmas in my class. 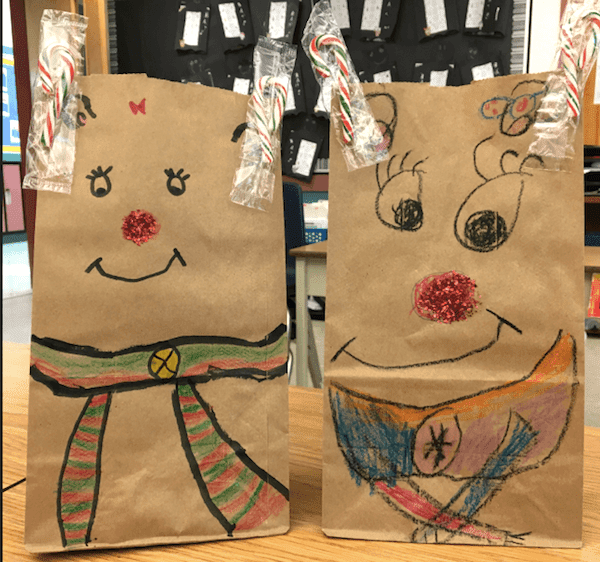 We did some reindeer art, made reindeer ornaments, reindeer cards and reindeer gift bags. 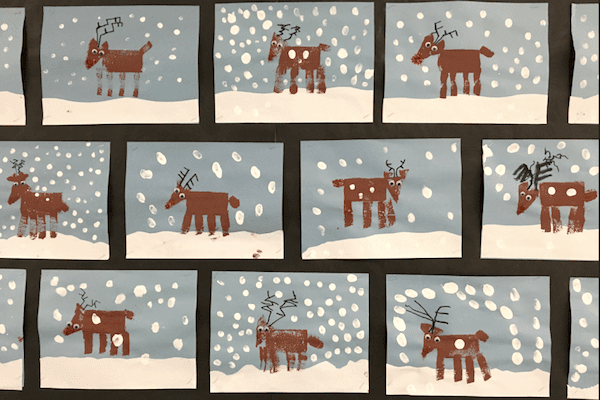 First up is the reindeer art. 1. I pulled the kids over to my table in groups of three. I had the sponges, paper and paint all ready to go. 2. First they cut a wavy piece of white paper and glued it to the bottom of the blue paper. 3. Then they dipped the pre-cut sponges into the brown tempera paint and stamped out their deer. 4. 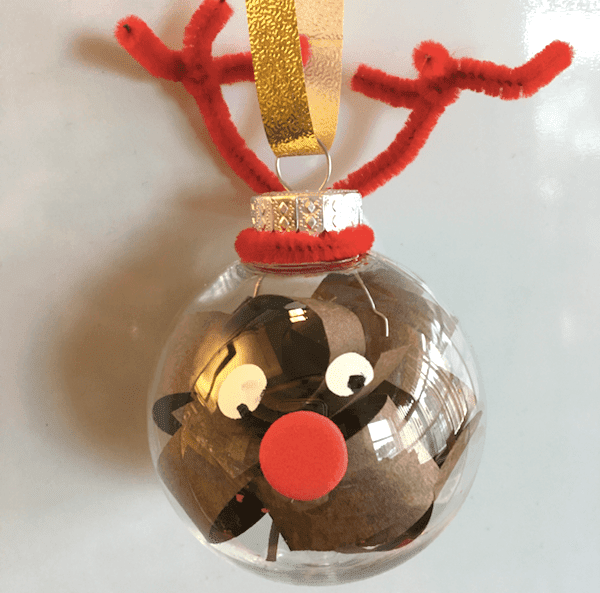 When it was dry they glued on the googly eyes, drew the antlers, and add glue for the sparkly red noses. 5. Last step was to use white tempera paint to put finger print snow drops all over the pictures. Next up were the gifts for our parents. I fell in love with these sweet ornaments. They were very easy to make and just look so adorable! 1. I purchased the clear ornaments from Michaels when they were on sale. The top pops off so you can access the inside of the ornament. 2. I pre-cut strips of brown construction paper and the kids rolled them around their pencils and popped them into the top of the ornament. I think this was their favourite part! 3. I put the "lids" back on and then they made the antlers. I pre-cut the pipe cleaners (one longer piece and two shorter pieces) and the kids wrapped them around the top as you can see in the pictures. About half my first graders could do this on their own and I had to help the other half. 4. Next we dabbed on white tempera paint with our finger tips for the eyes. When that was dry the kids used a black sharpie to add the pupils. 5. The noses were a bit of a challenge. Initially we used red tempera paint and our fingers but once the noses dried they just fell off! I'm not sure why because the eyes stayed on. It WAS a different brand of paint, though. So instead I found a whole bunch of red foam circles and and hearts (again from Michaels) and we stuck those on. 6. You can't see in the pictures, but we also glued small photos of the kids onto the back of the ornament. 7. The last step was to add the ribbon or twine for hanging. 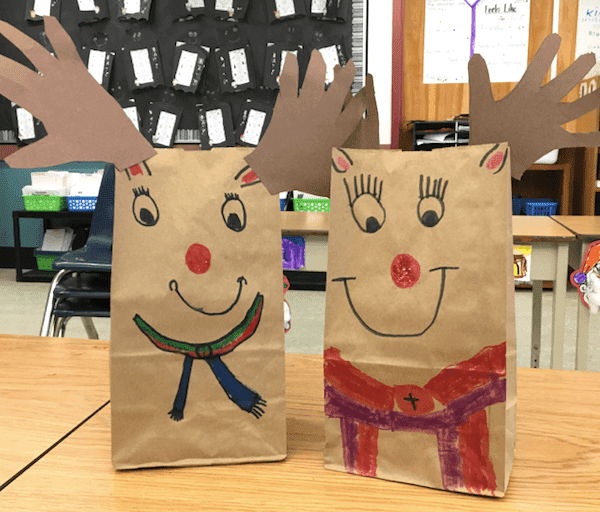 Once the ornaments were made we created our reindeer gift bags. In the past I've always had the kids trace their hands on brown construction paper for the antlers. This year I gave them the choice of candy cane antlers. I'm not sure which ones I like better, but the kids overwhelmingly preferred the candy canes. Gee, I wonder why? 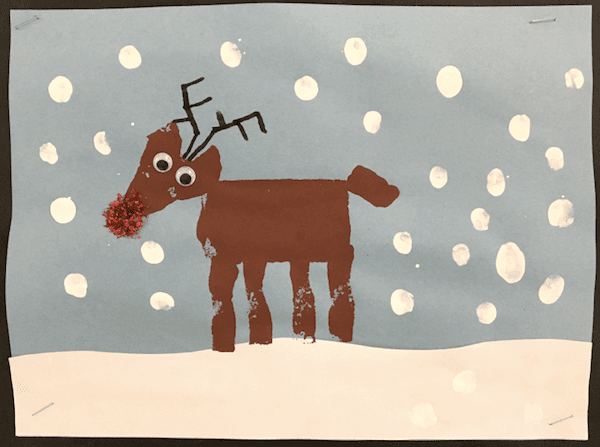 And lastly, we made our little reindeer cards. This was just a thumbprint in brown tempera paint. 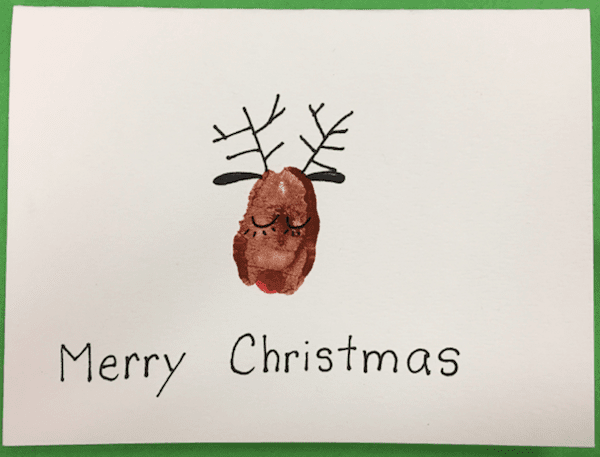 When it was dry they used a black sharpie to draw in the antlers, ears, eyes and "Merry Christmas". The red nose was made with a red felt pen. That's it! I hope you enjoyed our reindeer-themed Christmas! Click here for a free holly wreath graphic. Click here for some holly and Christmas bell clipart. Oh, how cute is that! 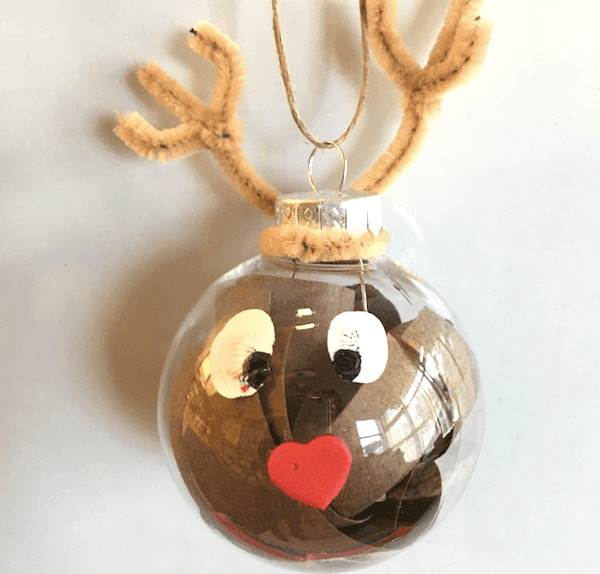 I love all of your reindeer crafts especially the ornaments! Thanks, Erin! The kids had a lot of fun making them all. 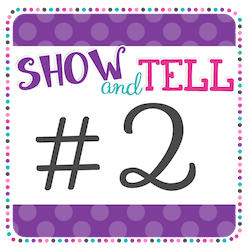 Love all your reindeer themed projects! So cute! 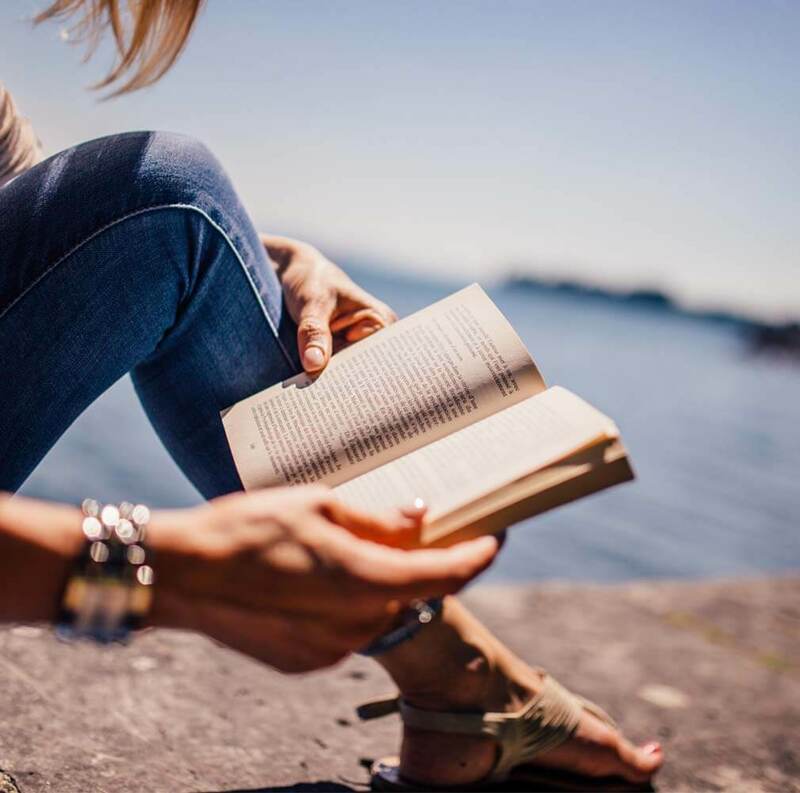 Thanks for linking up! You're welcome! Thanks for hosting. 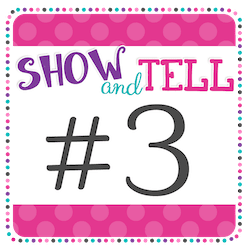 I especially love project #1. Those antlers are the best. I love how different they all are. Thanks, Tammy. I was actually impressed with how well they did with those!